We develop Digital Asset Management (DAM) systems with your specific business needs in mind, whether you need one for production management, maintaining archives, managing your brand or providing your sales team with the assets it needs. If your organization exclusively handles rich media assets (videos, audio files, images, e-books), we can also create a more specialized, customer-centric Media Asset Management (MAM) platform. 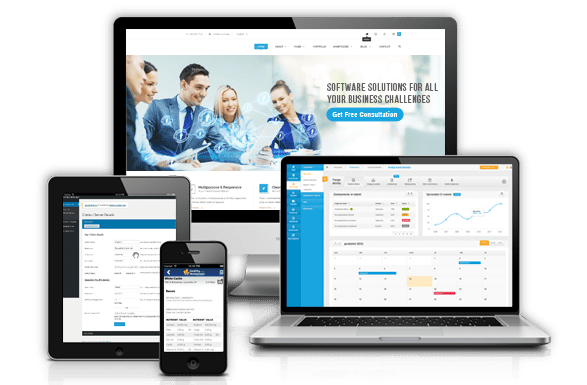 We primarily design cloud-based DAM software, which offer you more versatility and anytime access to all of your data from any device type or web browser. We can also design a native (iOS or Android) or cross-platform mobile app with the same functionality plus mobile camera scanning options. Cloud DAM solutions also allow for a faster implementation process and additional, scalable integrations. Our custom DAM systems work for all asset types, including photos, graphics, audio, video, multimedia, templates, and presentations. We make it easy to convert analog objects, be they paper documents, forms or images, into digital assets. We design intuitive interfaces so you can seamlessly switch between batch scanning, encoding, using optical character recognition, and other digitizing processes. Leverage a truly personalized DAM experience with easily customizable indexing and cataloging tools. We include pre-programmed metadata fields that make sense for your organization and give you the power to create custom fields as you see fit. Our systems can automate the categorization of media types, bandwidth and latency so appropriate codecs can be used during processing. Ensure your assets can only be accessed, shared and edited by approved parties with smart permission controls. Our access control modules will help you establish automated release rules for digital assets upon satisfying certain stipulations (including payment processing). We can also integrate Digital Rights Management (DRM) software for tracking the release and possession of rich media. Looking for a DAM solution that includes features more traditionally associated with Content Management Systems (CMS)? We can integrate content publication and delivery applications – including more comprehensive editing modules, marketing automation and social media publishing – as well as enterprise CMS features like Role Based Application Controls (RBAC), workflow management and employee collaboration tools. Our expert database engineers will build a custom centralized repository for on-premises hosting or leverage popular cloud-based database providers (including Oracle, AWS and Microsoft Azure). We make it easy to search for and retrieve assets using in-file content scanning, consistent keyword tagging and ample metadata options (including upload/edit date, author/artist, geographical origin, ownership status and file type). Our enterprise DAM software allows you to create and manage multiple versions of an asset with varying resolutions, frame rates, color sequences and other quality standards depending on your needs. We can also integrate version control and audit trail software so you can revert back to previous versions of an edited asset and keep track of who touched an asset last and when. In addition to building bespoke DAM solutions, we can integrate, configure and customize open-source digital asset management software from third parties like Adobe, Widen, Aprimo, Canto and Bynder. We can also program APIs to connect DAM systems with your enterprise applications, including platforms used for Customer Relationship Management (CRM), digital marketing and financial management.